We pick you up from your hotel or a central point in the city and we follow the Athens Riviera route. Within 45 minutes we visit the archaeological site of Vravrona in a charming landscape by the northern coast of Attica. I pick you up from your hotel, or a central point in Athens and we head to the north side of Attica, near Mount Penteli. 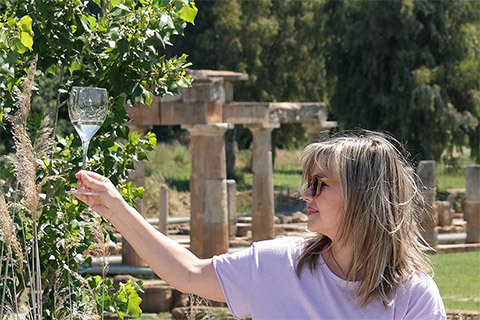 The area is called Dionysus because here the god gave to the people the art of viniculture and winemaking. Follow me to the wonderful terrace of a boutique hotel facing Acropolis and the Filopappus Monument. It’s the magic hour, the sunset, when the sky of Athens turns from blue to orange. 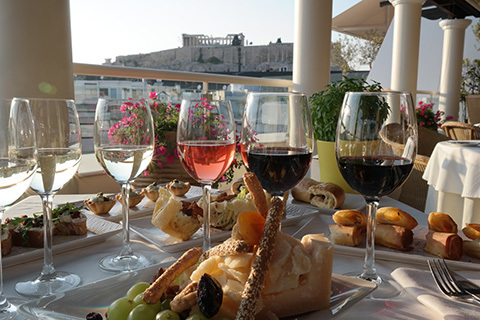 I will meet you at a Wine bar that serves only Greek wines, just a few meters from the Acropolis Museum. 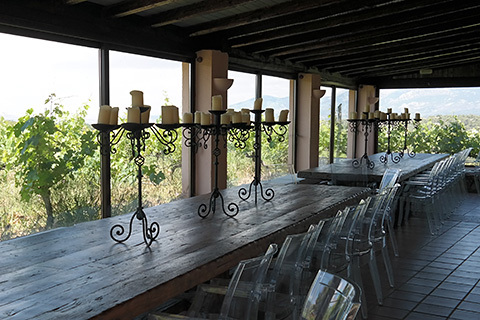 We will taste 8 unique wines from indigenous varieties, accompanied by a dish of cheese, cold cuts and rusks. I know that many cat lovers are also wine-lovers. 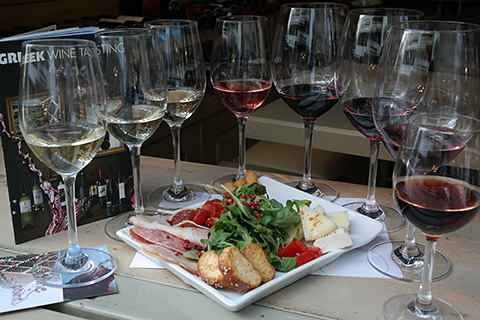 Do you want to feed the stray cats of Athens and then taste Greek wines? Just follow me. I have spent the last 25 years of my life working for the welfare of stray cats. Do you want to feel like an insider? 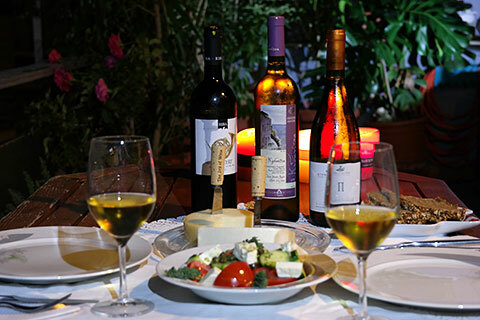 I invite you to taste wines from all over Greece on the veranda of my house. It’s always a pleasure to call friends at home and uncork bottles of fine wine.